Start off by drawing a line equal in length to the leg length given in the question. I labelled the end points of this line A and B. Next get your compass and set the radius to AB and swing and an arc from point A. We do this because we know an isosceles triangle has two leg lengths congruent and that the other leg most lie somewhere along that arc just drawn. Finally get your protractor and place it on point A and measure the apex angle given in the question. 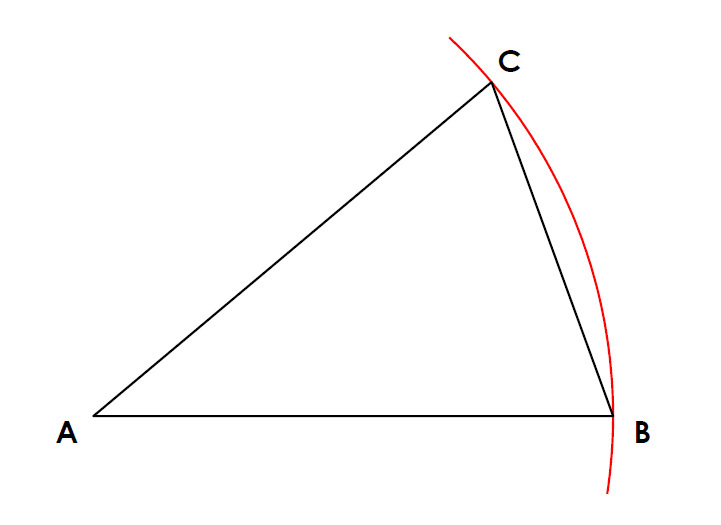 Extend this line until it hits the arc you have drawn, this will create point C. Join all the points to create your Isosceles triangle.